I went to the doctor and got some braces for my arms as a temporary fix until my keyboard got here. Yesterday, my keyboard came. Oh wow! It's going to take a while to get used to it. My speed went from 70+ wpm to 10! Today, I think I got it up to 20. I can tell it's going to help once I get used to it. I'll keep you posted. Write a novel in a month? That's the idea of the creators of National Novel Writing Month for Kids. The idea is to encourage the kids to write by keeping track of the number of words written and offering a certificate of achievement as incentive. Each person sets a goal of so many words (depending on age level) that they expect to write for their novel. Then, they keep track of their words on the website. At the end of the month, they are awarded a certificate IF they write the required number of words. Create Space offers all the winners five free copies of their work for free. I've pitched this idea to the kids in my class. Let's see how many take me up on it! By the way, if you're interested, there is an adult version (age 13 and up) of this competition: National Novel Writing Month. I haven't read through all the rules yet, but it appears that the word count is set for 50,000 words. That's a lot of words in one month! The website describes it as follows: "National Novel Writing Month is a fun, seat-of-your-pants approach to novel writing. Participants begin writing on November 1. The goal is to write a 50,000-word (approximately 175-page) novel by 11:59:59 PM on November 30." No editing allowed - just write the words! The winners get certificates. No pressure, just fun. I'm going to try it, but I'm not sure I'll be able to finish because of my carpal tunnel issues. But, hey, I can try! Carpal Tunnel Pain - Time for Help! 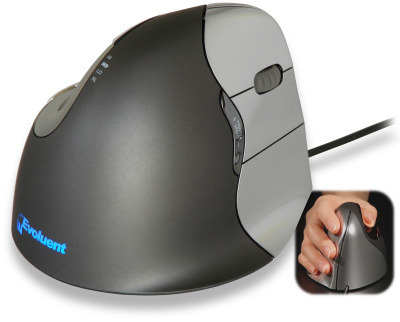 I broke down and gave up quite a few of my dollars to buy an ergonomic keyboard and mouse. Carpal tunnel is giving me a really hard time lately, but I don't have time for nor do I want to have surgery. In the meantime, I've been doctoring myself with way too much Advil. Not good for the kidneys! 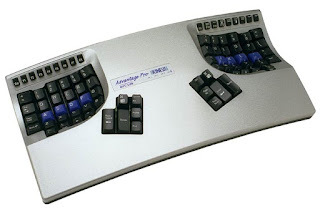 So, I ordered an Kinesis Advantage Pro keyboard and an Evoluent Mouse. From what I've read, these are both highly recommended for Carpal Tunnel pain; however, there is a 2-4 week adjustment period to get used to the new key placement. I figure with Thanksgiving and Christmas coming up, this should give me some time to practice and not have huge deadlines on me. I'll keep you posted on my progress, both in adjusting to the new keyboard and pain relief. Life changes. Every year that I get older, it seems as if I have a new adjustment to make. Now that I'm working and being Bill's chauffeur, it seems I am having to adjust my writing schedule to accommodate it. For the past two years, I've enjoyed writing for Oklahoma Living Magazine, but, unfortunately, this type of writing requires me to travel and interview people. I don't have the time to do that now that I'm tutoring, except for in the summer. Because of that, I was forced to give up some of the assignments that I had for the upcoming year - a big disappointment. However, as I sat thinking about it and feeling sorry for myself, I said, "Self, what other kind of writing could you do at home in the middle of the night and in between your other responsibilities?" I realized that I could write on spec about topics that I can research at home - no travel or interviewing. I could also work on my mystery and/or children's books that have been sitting in my files. So, that's what I've decided to do. First, I sent off some queries for magazine articles I could write at home in the middle of the night. I got four assignments! Next, I pitched an idea to the kids in my writing class about an extra assignment - writing the novel. If any of them take me up on it, we'll form an online critique group and work on our stories together. We're going to use the book, "Seize the Story: A Handbook for Teens Who Like to Write" by Victoria Hanley. We'll work through this chapter by chapter throughout the school year. We'll critique each other and I'll help them learn about the publishing business (as much as I know) and maybe even take them to some writer's workshops.